In a helter-skelter cornucopia of voices and formats, the stories of Daniel Olivas’s King of Lighting Fixtures are set on the streets of Los Angeles, focusing on characters as diverse as the city. The collection cements his place in the magical realism tradition of García Márquez and Urrea, and showcases his skills as a master stylist and self-aware observer of life’s little vignettes. Grandson of Mexican immigrants, converted Jew in the Reformed tradition, Olivas (The Book of Want; Things We Do Not Talk About) works as a lawyer in the California Department of Justice and works miracles on the page. “He will have to call it ‘fiction’ otherwise he will be rejected by the publishing industry as a lunatic,” as Olivas writes of a character in “The Three Mornings of José Antonio Rincón” who wakes in different bodies on three consecutive days. 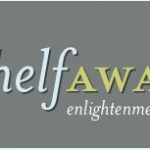 Read the full review on Shelf Awareness.